Camphor burning trays are used in temples and shrines as part of poojas and rituals. 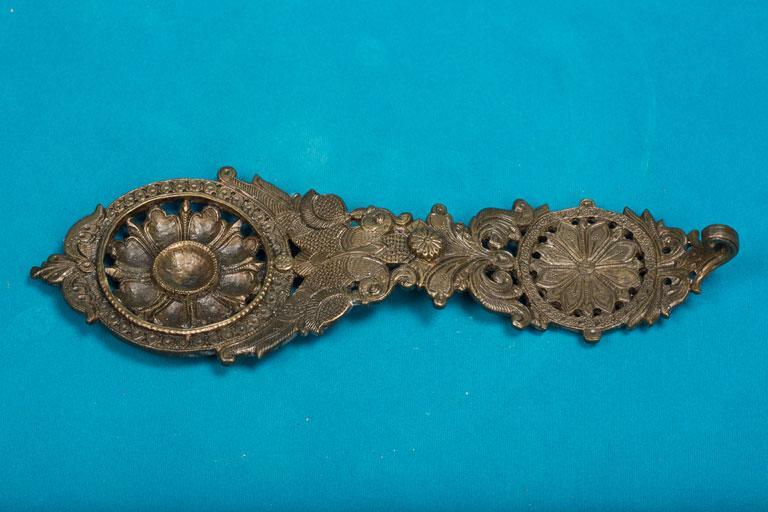 This royal piece adorned with floral designs is an ancient artifact. The tray has a circular space at one end for burning camphor. The artifact is crafted with detailed handiworks. The two peacocks on both sides of the circular tray add to the classic look that it carries.